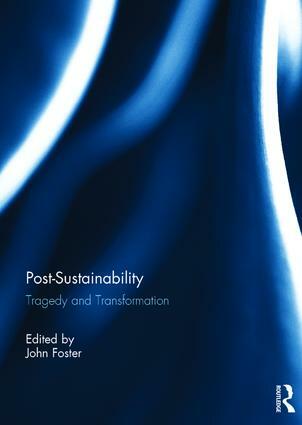 The sustainability discourse and policy paradigm have failed to deliver. In particular, they have failed to avert the dangerously disruptive climate change which is now inevitable. So, if there is still a case for some transformed or revitalised version of sustainability, that case must now surely be made in full acknowledgment of deep-seated paradigm-failure to date. But if we really take ourselves to be living in a post-sustainable world, the issue of ‘what next?’ must be faced, and the hard questions no longer shirked. What options for political and personal action will remain open on a tragically degraded planet? How will economic and community life, political and social leadership and education be different in such a world? What will the geopolitics (of crisis, migration and conflict) look like? Where does widespread denial come from, how might it be overcome, and are there any grounds for hope that don’t rest on it? The urgent challenge now is to confront such questions honestly. This collection of essays by thinkers from a diversity of fields including politics, philosophy, sociology, education and religion, makes a start. This book was originally published as a special issue of Global Discourse. 8. Apocalyptically blinded : reply to Ehgartner et al. 9. Beyond sustainability: hope in a spiritual revolution? John Foster is a freelance writer and philosophy teacher, and an associate lecturer in the department of Politics, Philosophy and Religion at Lancaster University, UK. His relevant publications include Valuing Nature? (ed.) (Routledge, 1997), The Sustainability Mirage (Earthscan, 2008), and After Sustainability: Denial, Hope, Retrieval (Earthscan/Routledge, 2015).